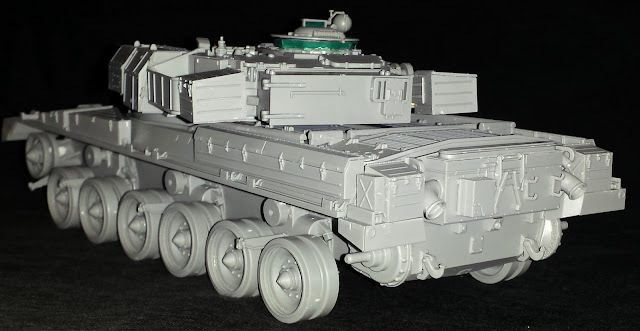 Takom’s triple treat release of Mk 5, 10 & 11 Chieftain tanks in 35th scale is upon us – and we have already seen two of these built up here on TMN. 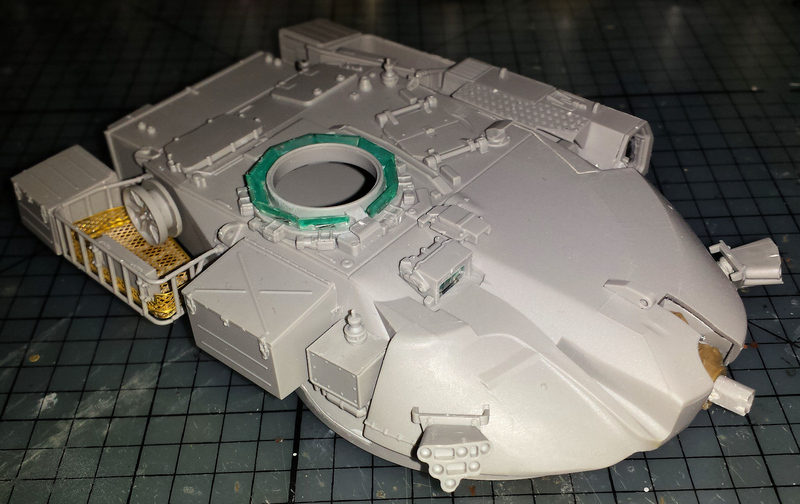 Today Paul Lee looks at the kit he is building – the Mk.11 – before he starts cutting plastic…. 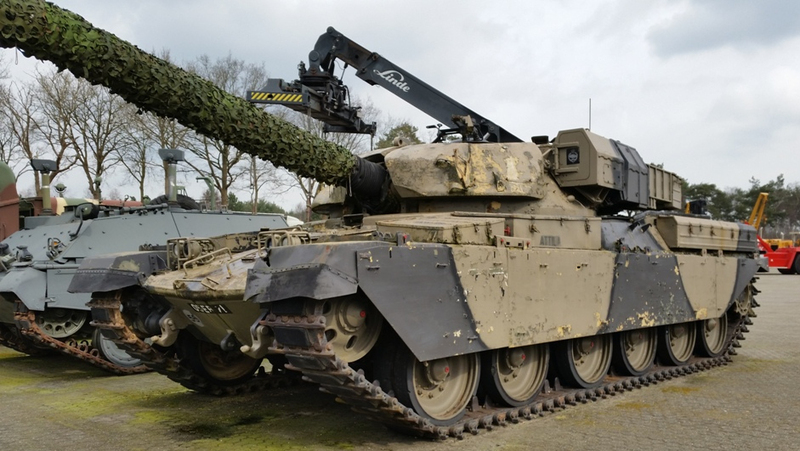 The Chieftain Mk.11 represents the final version of the Chieftain tank that was used by the British army before it was replaced by the Challenger. 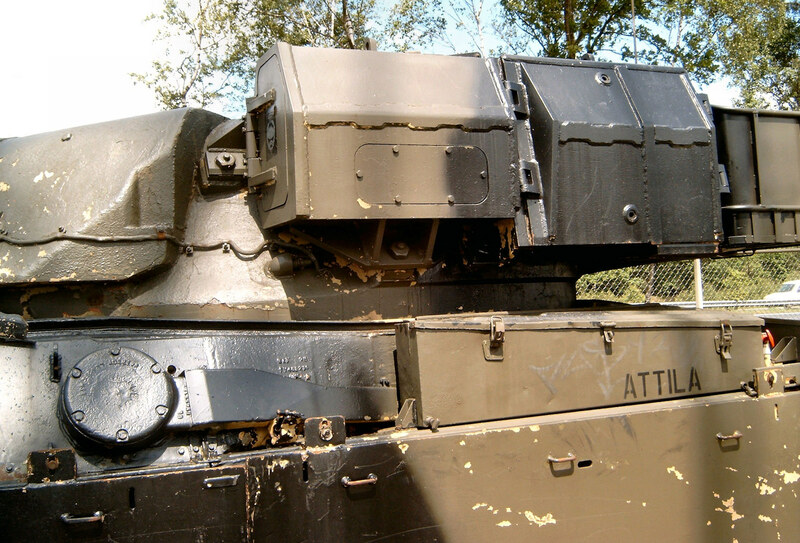 The Mk.10 saw the introduction of the Stillbrew armour which changed the shape of the front of the turret, while the Mk.11 saw the introduction of the Thermal Observation and Gunnery System (TOGS) as well which replaced the characteristic large infra red search light on the left hand side of the turret. So finally after a thirty year wait since the Tamiya release, was the wait really worth it? 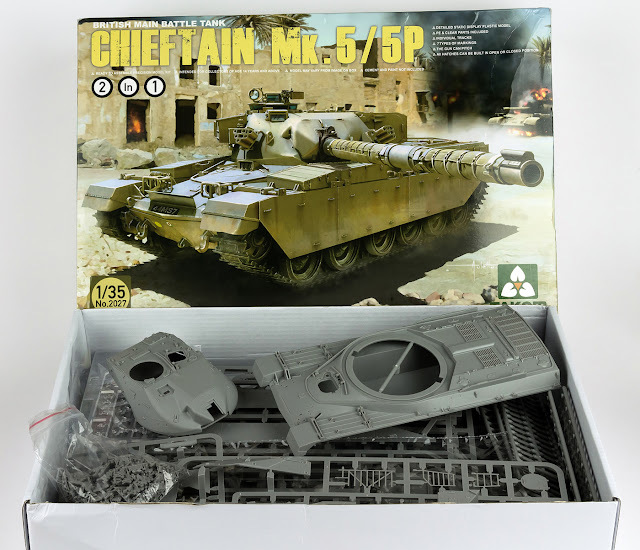 For those of you that are regular readers of The Modelling News, I'm sure you've already read Andy and Clayton's reviews of the Mk.5 and Mk.10 and their glowing reviews of the earlier Chieftains, and without ruining the ending of my review, my experiences of this kit are just as good as what they've already written. As per usual, construction starts with the lower hull and suspension. 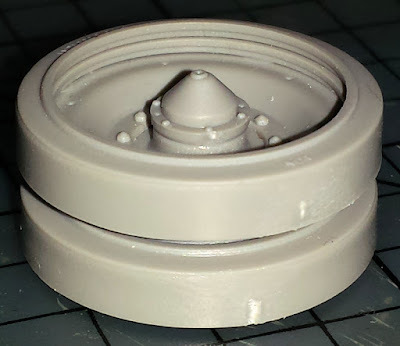 Takom have simplified the suspension so that the model can only be placed on a flat surface, but the upside to this is that in a very short amount of time, this is what will be sitting on your bench. Be aware that each of the suspension units is slightly different so keep track of which is which and attach them to the hull accordingly. The wheels are easy enough to assemble, piece A8 provides some sidewall detail on the inside of the wheel, but the instructions are not very clear on which way it should be inserted into the tyre so some guesswork is required. The tracks come in individual links with separate track pads. Fit of the links is good and the instructions call for 97 links per side, however I found that both sides were about two links short. However, the upper run of the tracks will be practically invisible once the sideskirts are attached so you needn't worry too much about this are. You could even leave most of the run off if you really want to..... 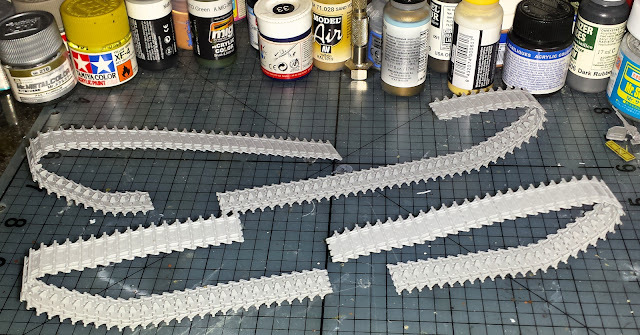 I also chose to leave the track pads off and will paint them on the sprue first and attach them once I've sprayed on the base colour of the tracks. The rear hull is next and is a cinch to put together. 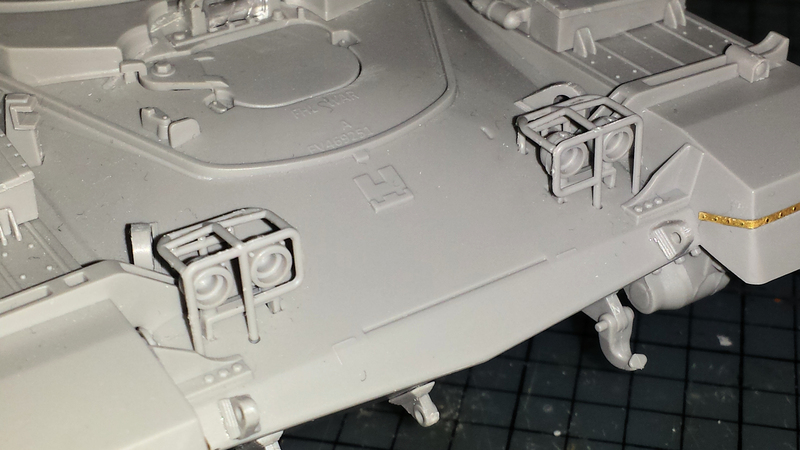 Dry fitting with the upper hull is key here to make sure the rear hull plate is properly aligned to the hull. 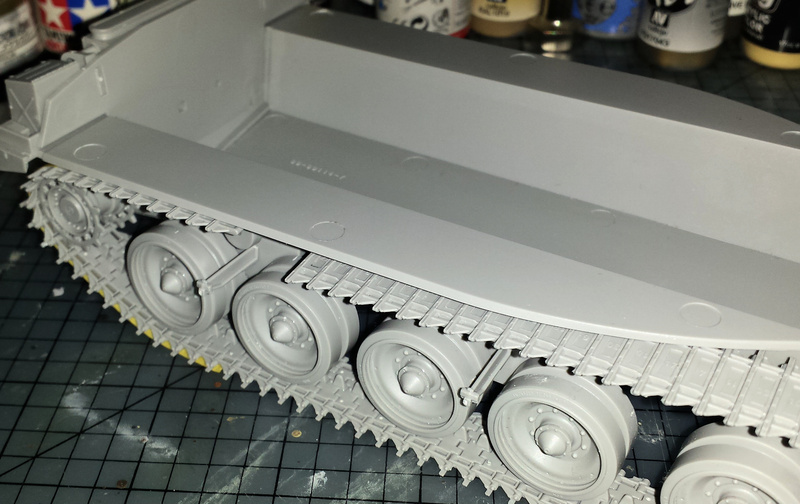 Moving onto the upper hull, there are some details that need to be removed from around the drivers hatch, but there is no real need to be too careful since the area will be covered by the segments of additional armour. The headlight guards are a little fiddly to put together, but the fit is perfect and fine enough to keep in plastic so no need for metal replacement here. 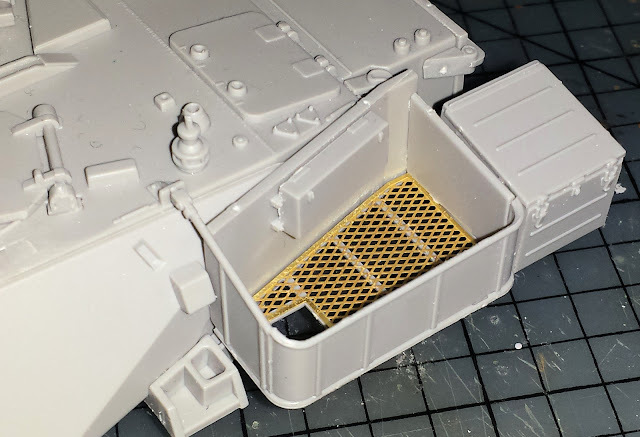 The storage boxes on the hull are multi-part affairs but the fit is perfect and only requires minimal clean up after you remove the parts from the sprue, and feature some very nice ribbing detail. Once again, in very short time you will find this sitting on your bench. The turret comes next and this is where most of the differences between the three versions occur. 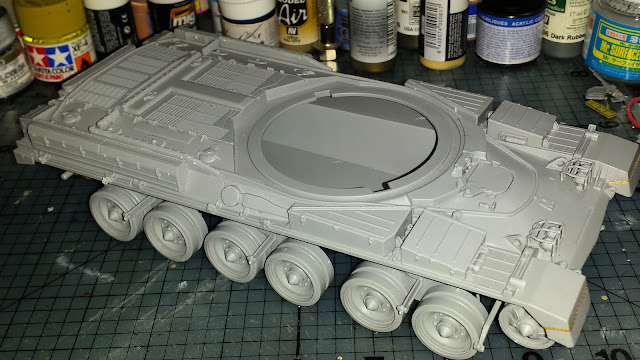 I thought the Stillbrew armour would come as an add on to the original turret but Takom has chosen to mould it in place so no complaints as it means less work for me. 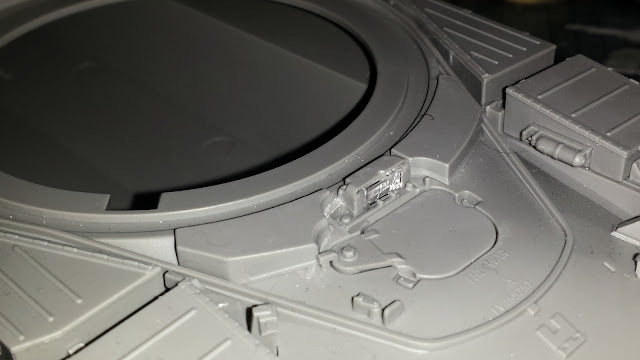 Piece B17 is the left rear quarter of the turret side and this was probably the biggest fit problem I had with the kit, but it was easily remedied with a bit of sanding. 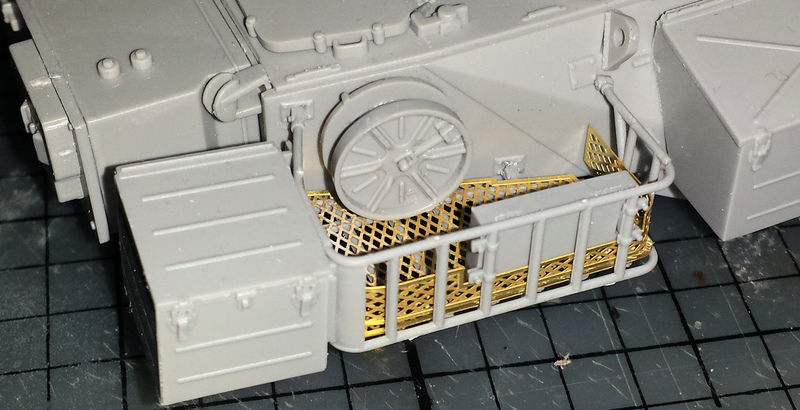 The turret baskets are a combination of plastic and etch, and like the headlight guards, very fiddly to put together, but the fit is excellent and the etch fits almost perfectly. A jig for TP17 would have been nice to help with bending because there is no guide on where to bend it to fit in the sides of the basket. 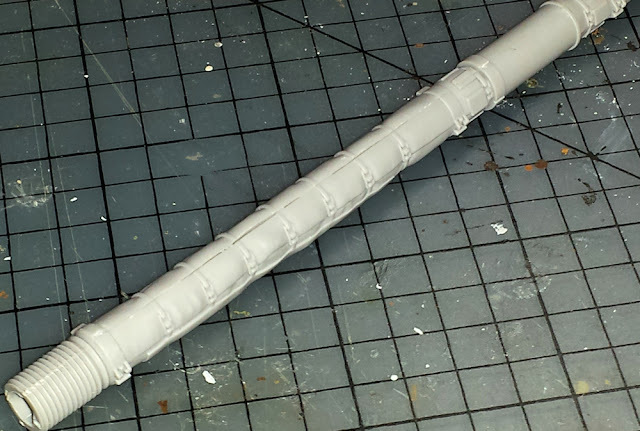 The main gun is moulded in halves and very nicely detailed, although I had some clamping issues which resulted in a step in the barrell as well as some gaps but I think this was a result of the clamping issues rather than the kit as the dry fit did not show these gaps at all. 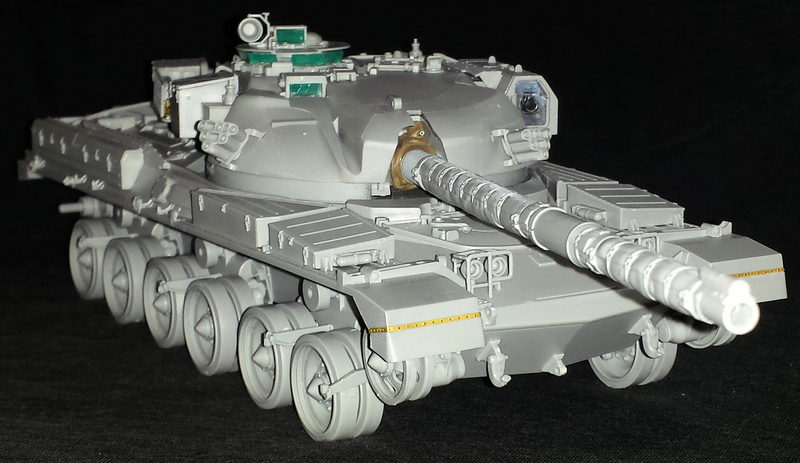 They muzzle is moulded separately and also in halves, but completely smooth on the inside and probably would probably benefit from some rifling detail on the inside. 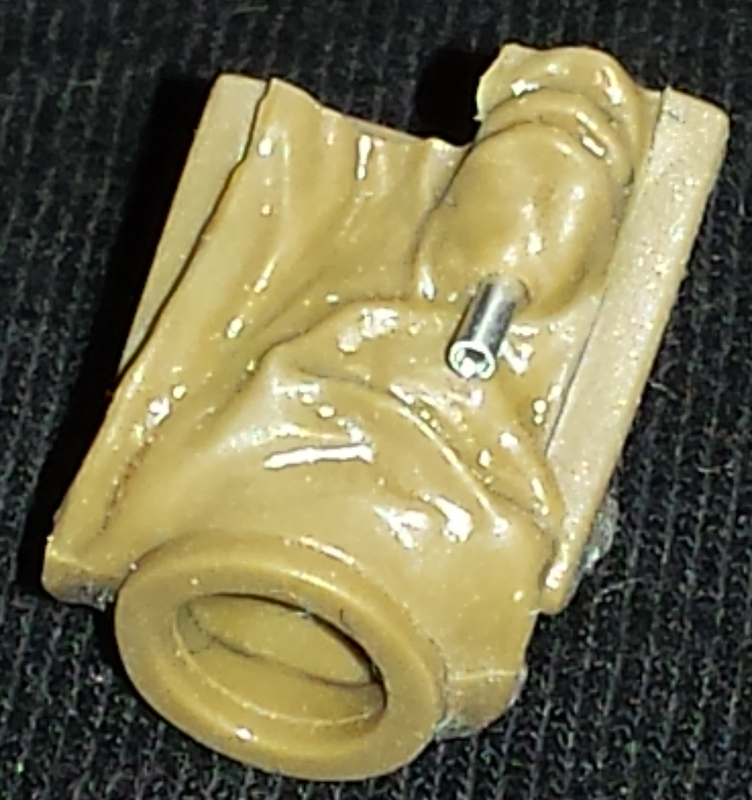 The gun sleeve is provided in a soft vinyl and comes with the barell of the ranging machine gun moulded in place, however my one was a little damaged and half sheared off. 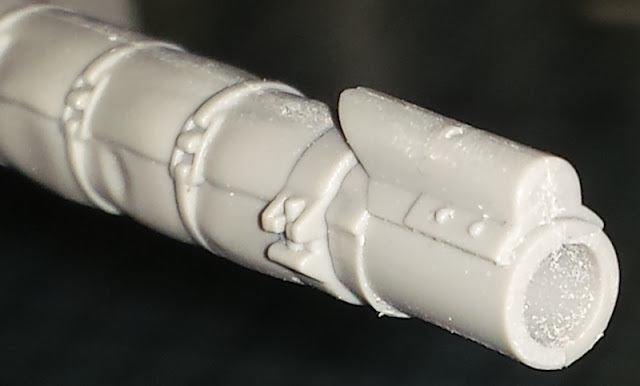 I ended up removing it and replaced it with a small length of aluminium tubing which I think looks better anyway. The TOGS sight is the biggest difference between the Mk.11 and other Mk's of the Chieftain, and I was surprised to have some issues fitting the clear part M2 into the TOGS assembly. I ended removing a small plastic notch from piece B22, and also the lower lip of M2 to get a good fit in the whole assembly. The door to the TOGS is moulded separately, but the instructions do not say anything about having it open. The moulding of the hinges will allow you to have the door open. There is a cover which is placed over the TOGS and side of the turret which has some very fine detail, although careful sanding is required so you do not end up destroying it. 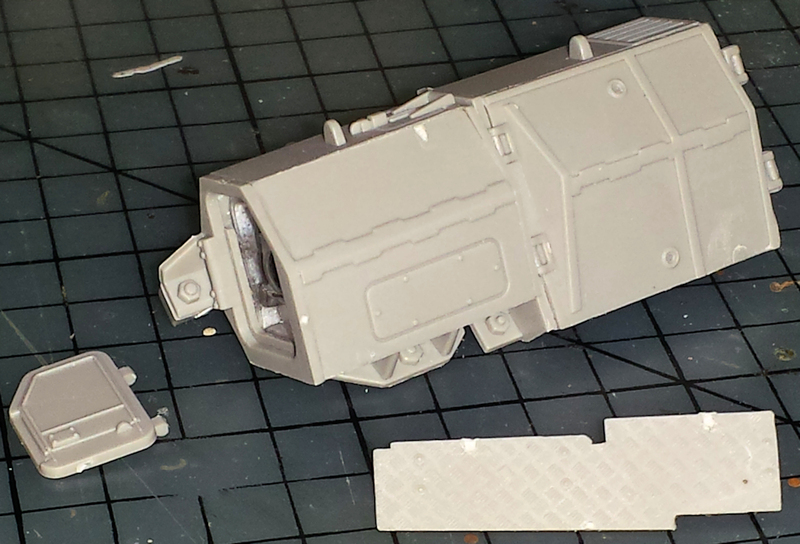 General fit of the turret is good so this is what you get when all the sub-assemblies come together. Now all that is left is to put the turret on and voila! Your Chieftain is completed. 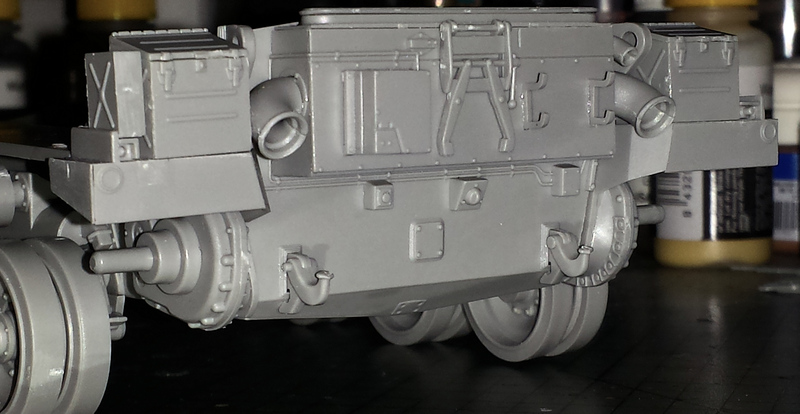 Looking at the finished model, I can honestly say that this is a gem of a kit and an absolute joy to put together. 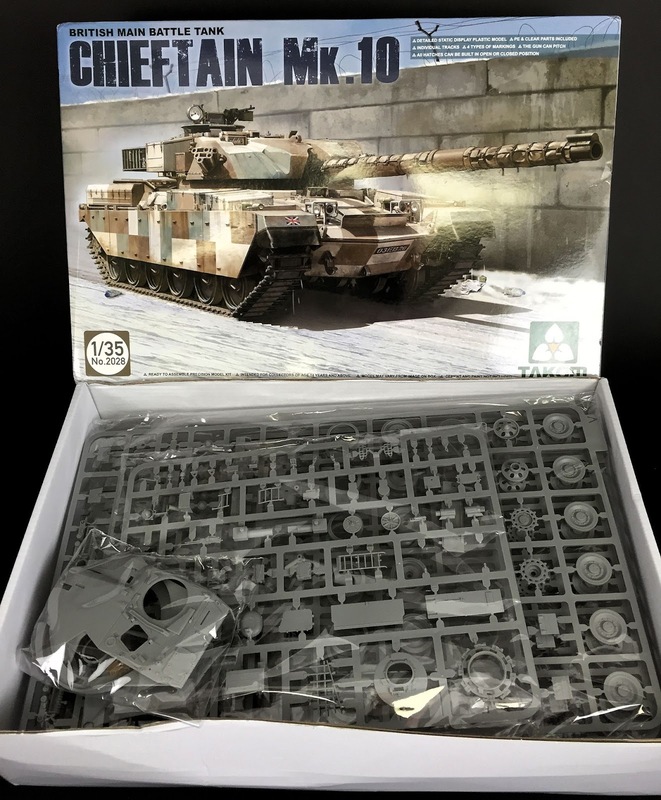 For me, this kit strikes that perfect balance between simplicity and detail without being ove-engineered and can be put together in a fairly short amount of time, which allows you to go to the next step and really bring this tank to life. On to the paint!